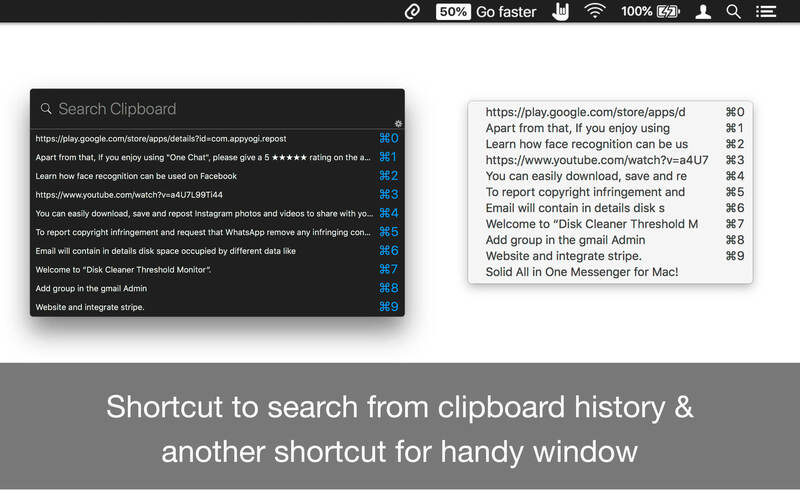 Auto short cut created to the clipboard history. 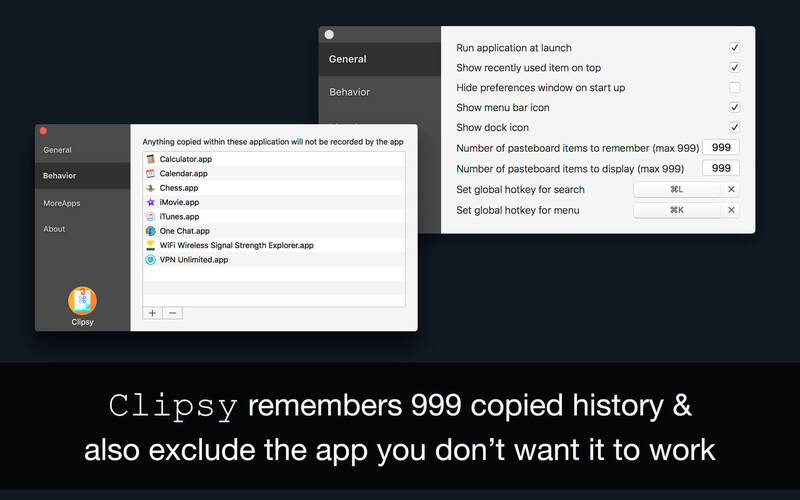 Search from clip board history. 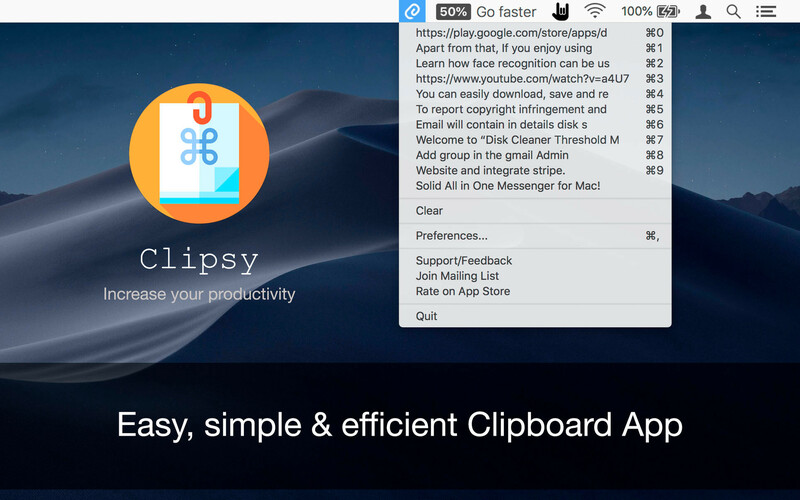 Can exclude apps to restrict Clipsy to record clipboard history.